When our designers are creating graduation invitation ideas, they envision them being chosen by families just like this one, proud of their son and wanting to celebrate his big achievement the same way they got there—as a family. That’s what graduation is all about. We couldn’t have said it better ourselves. 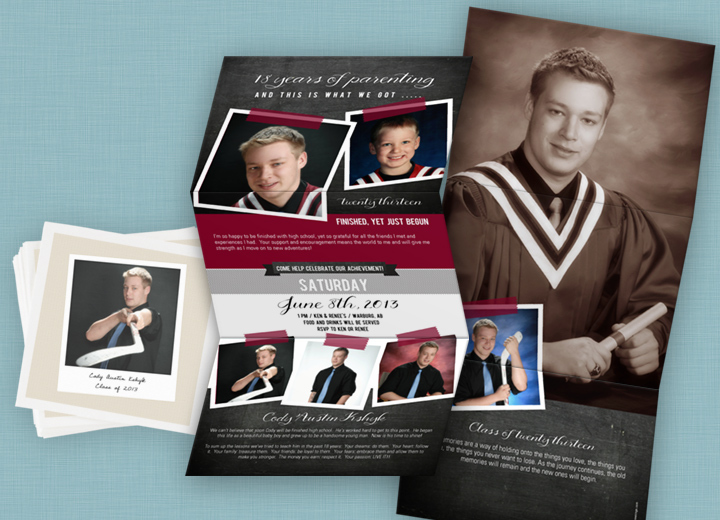 You can find Cody’s Big Impression Graduation Announcements and Snapshot Memories personalized graduation napkins at Pear Tree, along with our new party decorations! Browse our collection for more graduation invitation ideas.